TSE 1033: How To Turn A No, To A Maybe To A YES! Home » TSE Podcast Post Page » TSE 1033: How To Turn A No To A Maybe To A YES! Tamara Thompson is the owner of a creative video production company that brings compelling stories and brands to life; from events to influencers to business owners. It is for those who need marketing assistance or who seek to broadcast their authority across different social media platforms. Video is her forte’. She is very passionate about it and has directed several documentaries. Tamara started using a video camera at the age of 7 and followed her dream into film school before launching her own business, Serious Take Productions, in 2012. 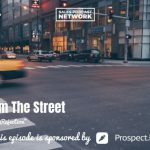 She is now focused on building her sub-brand, Broadcast your Authority, to help empower more female business owners – from taking the stage, to gaining media exposure, to implementing video that will attract and keep attention. Tamara knows full well that receiving a ‘No’ in sales is inevitable. She used to take it personally until she read The Four Agreements, a book which she credits with changing her life. Now, she views ‘no’ with a different mindset. That ‘no’ can turn into a ‘maybe’ and then into a ‘yes’ when you have the mentality and are able to think abundantly in order to handle rejection. Taking rejection personally only allows it to spiral out of control into negative feelings about one’s abilities. It is a preemptive process. It is the preemptive way of thinking when entering into any conversation: don’t expect a ‘no,’ but recognize that it may happen and be prepared. When facing ‘no’ as an answer, it is time to discover why the hesitation exists. In this way, you can provide a different solution that caters better to the needs of your clients. 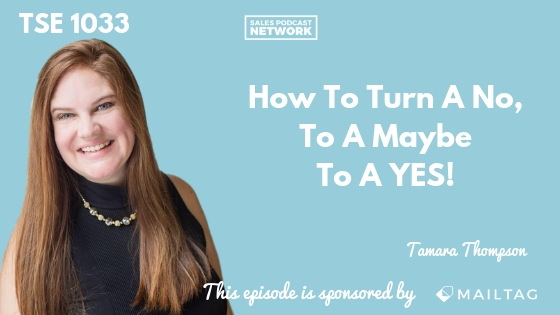 As the owner of a professional video company, Tamara knows she has the one-up in many situations simply because, in order to build a relationship with her clients, she needs to know exactly what entices them most and what they need most. As an example, Tamara recalls hosting a ‘sale from the stage event.’ It’s a selling opportunity to a massive amount of people who are then invited to ask questions and to sign up for video retreats. One woman, in particular, had many questions about her unique situation. Tamara was able to zero in on the specific hesitations of the prospect and cater to her needs as a result. She doesn’t view ‘no’ as a rejection or a lack of interest but rather as a call for more information. A weak seller might give up but a great seller will try to be helpful, to relate, and to listen. When you truly care about the people you are working with and for and want to build a relationship with them, it is easier to steer conversations toward ‘yes.’ Once you understand the struggles and objections, it is easier to respond properly. Tamara is passionate about her business. She is confident that listening and empathy can go a long way in helping sales reps close deals even if they are not particularly passionate about their product. New sellers sometimes don’t know what to listen for. Tamara recommends doing research on any person you hope to speak with. Take time to learn their lifestyle and interests and what their brand and business look like. Then tailor your questions accordingly. The right questions – the right amount of interest in what the prospect is already doing – can open them up to tell you more. Find out why they do what they do and where they want to go. Most prospects are passionate about their business and when they are hesitant to make a change, you can hear it in their voice. Once you understand their goals, you can help them past the hesitation. 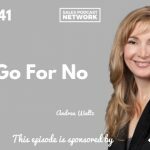 If a hesitant ‘no’ is still the answer, Tamara recommends follow-up. Aim for a ‘maybe’ even if it means following-up multiple times, or several months later, because people are busy and can’t always respond the first time. Once the prospect realizes that the sales rep is attempting to provide a solution and to help versus just trying to make a sale, it opens doors. Persistence and the ability to listen to the real concerns of any prospect are Tamara’s key pieces of advice. Check out Tamara’s video content and learn about upcoming events on the Director Tamara Thompson Facebook page. You can learn more about compelling videos, event videos, and influencer and speaker trailers produced by Serious Take Productions at www.serioustakeproductions.com.